Remodeling of any magnitude can be overwhelming, and relocating a shower is no exception. 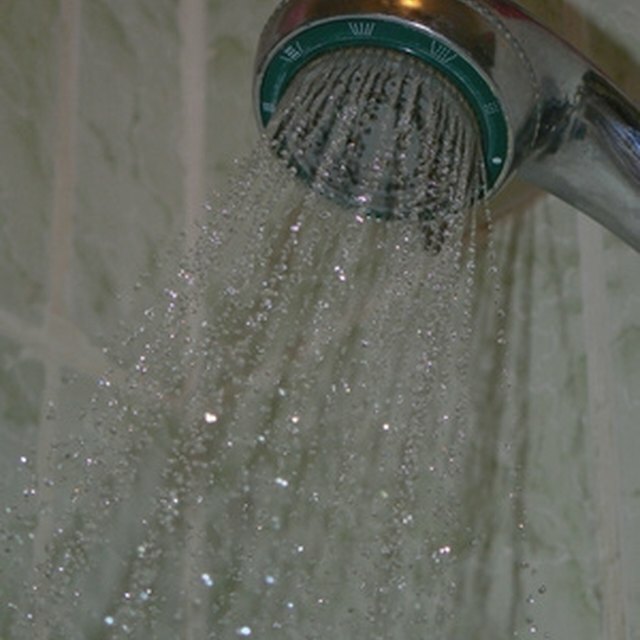 There are new and existing water lines and drainage lines to be considered, and, according to Tim Snyder, writing on the website This Old House, a shower head should be replaced if it is more than five years old to make the upgrade to more water- and energy-efficient standards. Undertaking and successfully completing a project of this magnitude can be a source of great personal satisfaction. Planning ahead saves time and money when dealing with a remodel of this magnitude. Contact your local building authority to obtain a construction permit for the shower relocation. Turn off the water supply. Remove all pluming fixtures from the interior of the shower, using a screwdriver. Set the fxtures aside, being sure not to misplace any screws. Pry the shell of the shower from the wall using a pry bar. Rough out the new area where the new shower will go by using a reciprocating saw to precisely cut away drywall to fit the exact size of the shower shell. Remove floorboards as well to fit the perimeter of the shower floor. Cut the new drain pipe to the appropriate length to reach and match the new location of the shower drain hole. Cut the shower head pipe to the appropriate length to reach the new location of the shower head. Use the welding gun to solder the extender pipes to the old plumbing fixtures. Cover the walls with plastic and turn on the water supply to test for leaks. Use your welding tool to repair any leaks in the pipes, if necessary. Fit the shell of the shower into the new location, making sure that the newly extended pipes fit properly. Reattach all of the plumbing fixtures on the interior of the shower, and use caulk to seal any gaps between the plumbing fixtures and the shower. Use caulk around the outside perimeter of the shower stall to seal the space between the shower stall, drywall and flooring. Install drywall and floor boards in the shower's former location. Melissa Scarr began writing in 2002 for the Northern Illinois University newspaper, the "Northern Star." She has vast experience in real estate finance, gardening and early childhood behavior. Since 2005, Scarr has worked in the financial services industry. She has a duel Bachelor of Arts in English and journalism from Northern Illinois University.